Upload your photo or even import it from Facebook, Instagram and Flickr. Our online software allows you to order and personalise your very own canvas print. All our class canvas prints are hand stretched. The print was good quality and arrived very fast, but the picture is too close to the sides of the canvas, which is a startlingly bright white. The space around the picture is very hard to guess if you've never done it before, but I will know next time. I will also use an off-white background colour next time, as the canvas is such a bright white that it looks out of place on a normal white wall. this is an excellent product, easy to order and quick to receive, i always recommend Pixa Print to my family and friends. Delighted with my canvas! Prompt service, arrived early and was well packaged. I have recommended Pixa Prints to all my family and friends! I am really happy with my order. It was delivered very quickly and the service itself was so easy to use. I will definitely be ordering from the site again. I am a returning customer. Very happy with ease of ordering and Glenn was very helpful with my ever changing mind! Would highly recommend. Easy to design and order. Fast delivery. Very helpful too. Easy to design and order. Glenn was very helpful. Fast delivery. Really happy with the results. The colours on my design were very vibrant and this came out exactly right on the print. Very quick delivery. Customer service very easy to deal with. Very fast delivery, received within a week. 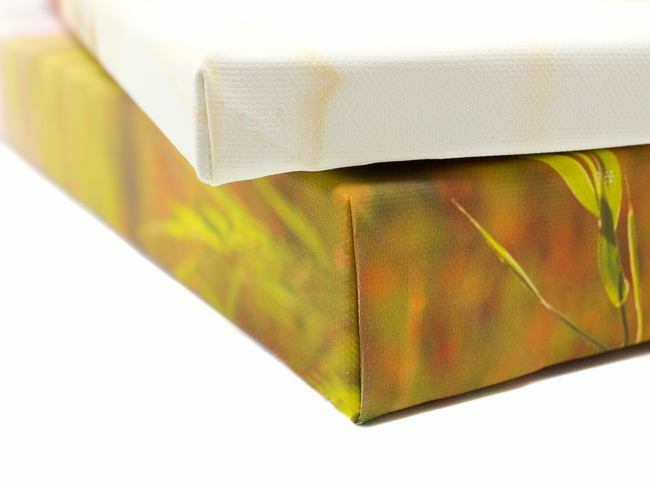 High quality canvas print and well packaged on delivery. Review by: Wee Howe L.
Very happy with my purchase. It is a gift for Christmas. Great quality and price. Very fast delivery. Packaged well. Very easy to design. I am very happy with your service, quality and prompt delivery. Everything from starting my order to receiving my order was great. When uploading photos, I was told wether or not the photo was of good enough quality to be used. There was lots of different options for sizes and layout etc. After submitting my order I was receiving emails to update me of it. It arrived by courier within a couple of days. I was amazed at the quality of it for such a low price. 5 stars all the way! Got a good promotional price on canvas prints. The service was efficient speeds and courteous when I had made a gaff in the layout and rang. Print quality is VERY GOOD. Colour registration to my eye is precise. Mounting of the canvas is nicely done. The prints came by courier and well packaged. I would use these guys again. Review by: Ml. A M.
My canvas is amazing quality and colour. Came so well wrapped. Constantly got updated on my order after I placed it, of how it was been processed or if it was been dispatched. I was only waiting a few days for delivery from when I ordered it. I ordered 3 canvas's and I am back on today to order another 3, I just love them. I know this will not be my last order with this company. Extremely happy with my order from Pixa Prints, Excellent Quality and loved my Canvas. Very easy to use and very quick delivery. Good quality to. Very happy about quality - flash delivery! Ordered Wednesday morning-Thursday midday delivered! I love ordering from Pixa Prints - their products are amazing and I would recommend all! The canvas is very high quality and will hang on the wall with pride. Helpful staff. Fantastic finished product. Fast delivery. Great finish, fast delivery. Excellent. Really happy with finished product. Great quality finish and fast delivery. Good quality and fast delivery - 100% recommend ! Really good quality print even biggest size. Fast delivery ! The photo I used for the canvas was a scanned copy of a twenty year old passport photo so I picked a small canvas. I was warned that the quality of the product may not be good but I decided to order it anyway and it's great. I love it. I am really impressed with the canvas print I ordered. It is of great quality, was delivered very quickly and it was packaged up the best I've ever seen from any online photo company. I had originally decided to get a canvas done in photo centre at Harvey Norman but chose to look online for any cheaper alternatives. It was then that I found pixa prints and I am so glad that I did. I am so impressed at the clarity of the print and the overall quality of the canvas itself. I should also mention that after ordering I had received the canvas by courier a mere three days later! Astounding! I can't believe I was so close to getting it done elsewhere for over double the price! Very happy customer and I will definitely be recommending you to my friends. really happy with this. great quality, great price and arrived quickly. Happy about quality of product! Fast and good quality product! Pixa prints has such amazing quality! I always love using pixa prints over other photo canvas providers! The tightness of the canvas is so professional and the colors are nearly spot on! I put my order in on a Monday night and the order was with me by the Thursday! I was so happy with how it turned out. I'd never ordered with pixa prints before but I've been raving about them to everyone since! Great value and wouldn't hesitate to order again! Incredibly fast service and well packed. The picture looks great. Really pleased. Thank you. Excellent service. Delighted with the product. Will definitely order again soon. arrived on time, well packed and looked good. Couldn't really ask for more. Paul. Ordered a 30x30 canvas and couldn't be happier with the quality of it! Arrived earlier than I expected too! Will definitely be ordering more.. 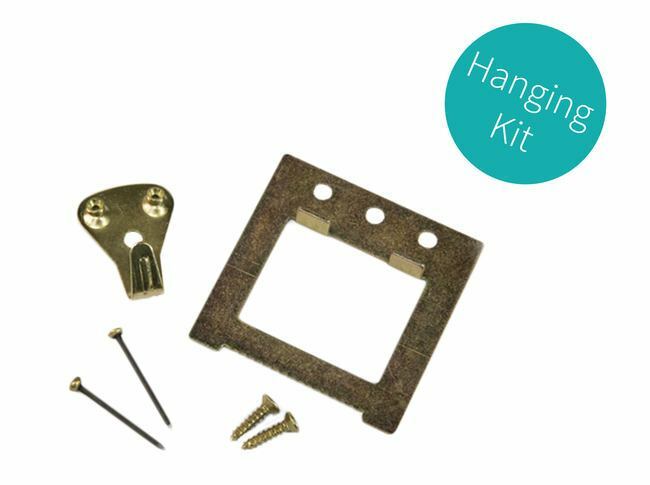 It was easy and quick to order, the quality was very good and delivery exceptionally quick. I'll definitely use this website again. Good quality, good value and fast delivery! This process is so simple. And the end result is fabulous. I ordered two canvas prints initially and was so happy with them I ordered another. Id highly recommend this company. Absolutely loved the canvas, so easy to order and very quick delivery. Quality is fantastic, will definitely buy again. Exactly what I ordered and exactly as I expected, super fast delivery too and packaged very securely. Delighted I found this website! Great service & quality. Will be using your service again and again!! Ordered on my phone Sunday. Received great quality canvas on Tuesday. Great price too. Product quality fantastic. Price is excellent compared to some other companies and delivery is extremely prompt and cheap. Very happy with product. Will definitely shop here again. Very happy with the canvas I ordered. Excellent quality and it arrived within 3 days. Will definitely be ordering from pixaprint again. Review by: John paul R.
I shall be ordering more from Pixa Prints. This was my first time using this company, I've tried many others in the past. The quick turnaround I got with Pixa Prints was brilliant. I ordered a print for my uncle of one of my nature photos not sure of how it would turn out on canvas, I was thrilled. So was he! Thanks Pixa Prints I'll be recommending and using you again. Canvas was printed perfectly. Quality if print is very clear. 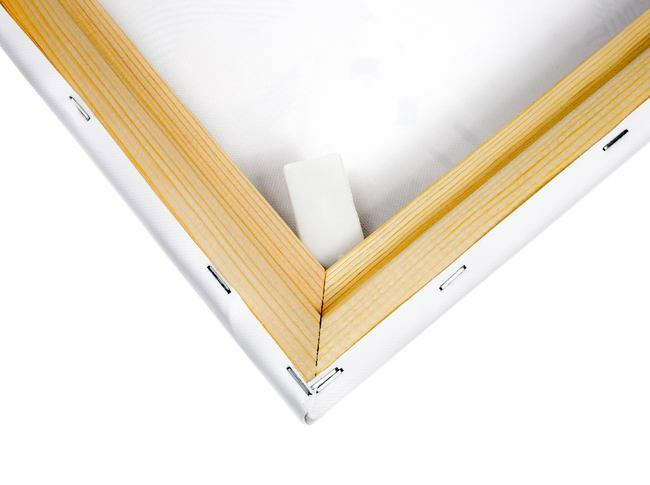 The print was of good quality on a well constructed frame, arrived in good time and well packaged to protect them. I would order again and recommend pixa prints to others. No hassle, quick and easy. Hope to use again in the future. Great to deal with, prompt and good quality. I had no problems from ordering to delivery and I hope to use your service again. Was really happy with how the canvas turned out. Would definitely recommend and will order again. Nice people, amazing product, very fast delivery. I would recommend!!! Thank you so much! Amazing job, very fast delivery. Thank you so much! Overall lovely but thought canvas would be a little thicker but service, quality, etc is excellent! Quality is lovely but thought canvas would be a little thicker but very pleased with actual print and service was incredible; ordered them on a Friday and had them Monday morning, brilliant! I would recommend this company for friends! I did biggest canvas size and quality was good! Picture was full of details with natural colors. My next print I will do in Pixa prints too! Was very happy with the way this product turned out . Packaging was through and quality was brilliant. These will be great gifts! I am looking forward to give these gift-worthy canvas to some very special people! Got this for a gift for christmas, really fast delivery great quality. couldnt be any happier with product. Great Canvas, turned out really well very happy with outcome, would 100% recommend. really happy - ordered at 11 wed night and it arrived Friday afternoon. Customer service was excellent, so helpful, actually changed the size after I'd submitted my order without any problem whatsoever. Speed with which the order was delivered & packaging both excellent. Product itself also great. Only little thing is that I thought there was sufficient space at the top to avoid the head almost being cropped. But maybe not. I ordered a canvas print from the US delivered to a friend in Ireland. She says it's lovely and excellently executed. I'm so pleased with the quality and ease of producing and ordering. Review by: Ioana roxana C.
Colours were true to photo. Sharp and good resolution. Everyone who sees them asks where they came from. Creating my third set of these products in less than a month. Love them so much it's becoming addictive to keep ordering! High Quality product, delighted with it. Thank you. Easy to use and design product, fast delivery. Highly recommend. Only fault is colour wrap not perfectly aligned but I suspect that no one but me will notice! Really great price n canvases. So simple to use with a great end product. The Canvas is a really fab way to display pictures, I'm delighted. Delivery is so quick and quality of product is fantastic!! Very nice but I put split photos on canvas and the quality on one was too white..more like a poor quality camera phone, would only have found this by printing so its a good test run to get right next time. Was lovely anyway. The quality of the canvas is amazing, I couldn't be happier. I would definitely buy from them again. Very easy to use design template and very fast turnaround. One of the lowest prices I have seen, will definitely be ordering again! Can't fault the speed of delivery and the quality of the print, excellent as always. However the print was slightly crooked, probably only really noticeable because there was a horizontal line near the top. This was a gift for my Mother, a picture of her Mum and Dad, she was overjoyed with the picture, and I was equally as happy to be giving her such a quality gift, thank you Pixa prints. Easy to use. Super quick delivery. No hesitation in recommending! No hesitation in ordering again! Have ordered five prints in the last week. Very happy with results and prompt delivery. Many thanks! Really happy with pixa prints! Wouldn't recommend anywhere else ! Great quality. And super fast delivery ???????? Ordered 4 square canvases. Such a quick delivery!! Didn't expect the quality to be great on some of them as the pictures weren't anyway but you'd never notice any difference. Great service. Delighted. Thanks pixa prints. The canvas and mug I ordered are fantastic quality and look amazing. I love the way Pixaprint email you each step of the process so you know what is happening in relation to your order. The customer service is outstanding and the shipping is fast. Well done to all at Pixaprint. Highly recommended. Ordering was very easy, delivery within 2 days, quality of canvas is excellent! This was a gift for a very special occasion, the finished product was perfect, and very well received- very competitive price too. Delighted with the canvas, I ordered it as a present for a friend. I am sure she will love it. The prices are very reasonable and very prompt delivery. I have since ordered another canvas - arrived 30 minutes ago and once again, very happy with it. Overall a great service. Fantastic service and quality as always. Very happy with my canvas. I cannot fault Pixa prints in any way. Was a bit nervous sending this image to an on-line print company due to the detail in the drawing but delighted with how it turned out, I will absolutely be using Pixa Prints again for future projects. Made for a gift and came in perfect timing and was just what I imagined!!! Fast Delivery, great print of the design! Looked so professional!!! This was a gift and those that received it were so pleased!!! It was easy to get the design the way you want it. Very easy to use. Quick service and quick delivery within a few days. Was well wrapped up and quality of the canvas is really great. Fantastic service ,good quality prints and fast delivery . Great service and quality !!! Came on time, packaged so well and looked beautiful! Exactly what is says online, cant fault - reliable service. Good quality print. Colours are like on my digital photo. Good quality print, fast delivery, thanks! Fast delivery, well packaged and quality print, can't fault it, thanks! Recently ordered a canvas print , very easy to navigate their website and very easy to create my canvas on-line. Ordered the canvas on Sunday night and received it on the following Wednesday!! Had never used Pixa Prints before, but will more than likely be using their services again, based my on my "first impressions". Wasn't sure how the quality of the canvas print would turn out since it was from a photo I took on my phone but I was pleasantly surprised and have ordered a couple more! Also was a very fast service, thanks! Happy with quality and price. And what a quick turnaround! The print quality is very good, although I wish the wrapping of the canvas was done with a bit more care. The top part goes a bit over the edge while the bottom part of the image has a bit of a margin on the bottom. It could have been done a TINY bit more precisely. But yeah, good stuff. This is probably the best print I made from PixaPrints. White on black works just great in their printing technology. Really recommend it. First time using this company and I couldn't be happier! The quality, price and service were all great. Will definitely order again. Only down sligo is it took two weeks to arrive! Thrilled with quality of products and delivery service. Great value for money. Really fab product, very helpful live web support team. I bought the print for my brother's birthday and he loved it. Very happy with the quality. From ordering on sunday to my door on tuesday i was kept in the loop via email every step of the way. I had to send a new phone number and got a reply saying it had been received and passed on. Fast, efficient, great quality, outstanding communication and customer service and a great quality product at the end of it. I could not find one negative thing to say! This is the third canvas print I have ordered and I have to say that each experience was excellent. I was 100% happy with the online procedure and the finished product. I was especially impressed with the fact that I emailed on a Sunday with a question and I got a reply!!! Love this! WIll be ordering again! Fantastic product! Great quality! Great service as always! Really loved this product! Great quality and fast shipping! Once again,a simple efficient and prompt service. Highly impressed!! I was so pleased with the product and especially the customer service that I have already emailed the company . It was the best service I have experienced in a long time. The email updates and tracking service made it very easy for the customer. I'm already looking at my photos, thinking of placing another order!! I was really happy with this service. It was delivered promptly and the quality was amazing. It really is worth creating a canvas with a photo you love. Will definitely use pixa prints again! Very happy with our canvas, can't complain. 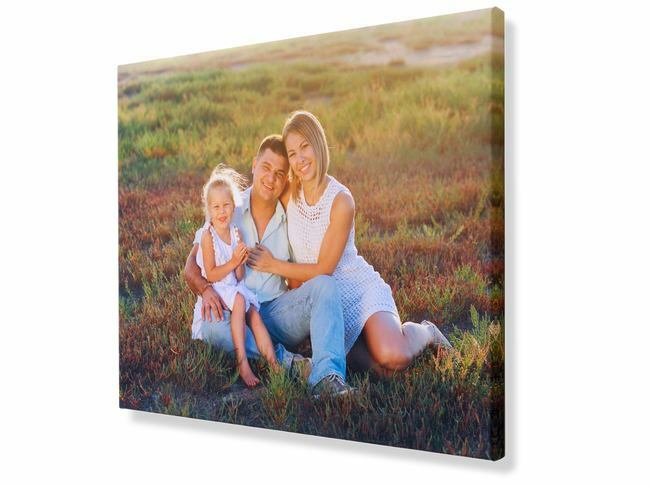 I ordered two canvas for family members which were easy to create, fantastic value. Excellent customer service from the time of order to delivery. Both family members were delighted with the quality of the product.. Highly recommend Pixa Prints to family and friends. Great service. Super fast delivery and and lovely product. The quality of this canvas is amazing and such a bargain! I will be ordering more!! Absolutely brilliant service. And a beautiful piece,I will definatley be ordering again and I have highly recommended you to my sister who also want some canvas's . thank you for excellent service. I'm very happy with the service from pixa prints. From order to delivery in two days! I am very fussy about image quality and this canvas print has exceeded my expectations. Frame, print quality and overall finish are excellent. Great value for money. I most certainly will use this service again! Great quality and very quick delivery once ordered. Great quality canvas and picture, very fast delivery. Would highly recommend. Would highly recommend Pixa Prints for Canvas,product was perfect,Image looked great on it. I ordered in a panic because I had forgotten a friends birthday and I only had 2 days to order and get the parcel to me. I ordered late on the Wed eve and received the parcel on the Friday morning. I was really impressed with the promptness of delivery, and also the quality of the canvas. I ordered a canvas print and within 2 days it was delivered to my house! I found it very easy to order the canvas print and I was thrilled with the product! I ordered a canvas print before Christmas as a gift from this site as it was the cheapest I found online. The quality was excellent and delivery was super fast in time for Christmas. Would definitely order from this company again. Great customer service. I am so happy with this canvas, exactly as I imagined and arrived so quickly!.....got several updates in the 24hrs after ordering to let me know exactly what was going on! Review by: Catherine Ames A. Thank you very much for the wonderful job you did. You were so efficient and professional. Loved the print. Ordered more as presents too. Really good quality product would recommend to everyone also lovely and helpful people on the customer service . Absolutely delighted with the product. Great price, and speedy delivery. Highly recommended. Order just arrived, quick service. All look great, very happy, about to order more! I asked for my picture on canvas arrived very fast the picture on the canvas turned out brilliant I am very pleased with picture,I will definitely order more in the future. Really pleased with the canvas and service will use pixa prints again! Very happy with the quality of the print and extremely happy with the speed with which it arrived! Excellent quality item and very fast production and delivery. I received my canvas this morning. It is fantastic and delivered so quick. To think the photo came from an iPhone! Really happy with my family canvass print, Top quality and very fast delivery. Great product, great price, great service - very happy customer! Fab product, great price, very fast delivery. Delighted! Thanks! Fab product, very fast delivery. Delighted! Thanks! excellent product delighted with the result.